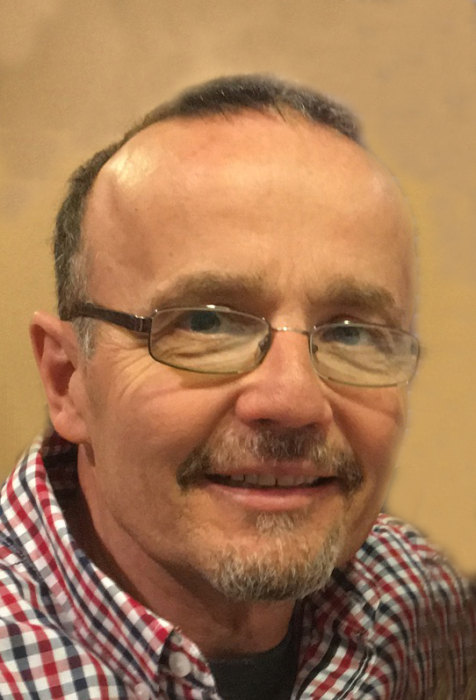 David James Miller, 61, Beulah, ND, died peacefully on January 15, 2019, after a courageous two year battle against cancer. Services will be held at 10:00 AM CST, Saturday January 19, 2019, at Immanuel Baptist Church, Beulah, with Dr. Bruce Overstreet officiating. Visitation will be from 5:00 to 7:00 PM CST, Friday, January 18, 2019 at Immanuel Baptist Church, Beulah. David was born May 17, 1957 to Ralph and Irene Miller, the ninth of 19 children. He was raised on the farm and educated in St. Anthony, ND. He was always proud of being part of a big, close family. On November 27, 1982 David married his loving wife of 36 years, Nancy A. Wahl, at Crossroads Ranch, St. John, ND. Together they raised their family in Mandan, ND until they relocated to take over a cleaning and restoration business in Beulah, ND in 1996. Together they worked for 22 years to establish a successful business. David will always be remembered for giving his children an outstanding work ethic and for his integrity as a local businessman. It would be hard to find someone with a more energetic, generous and overcoming spirit. David never shirked away from a deep, quality discussion and was known to speak his mind with passion and depth. Following the Lord and prioritizing his family were David’s driving forces. He was always eager to make memories, embrace life, and make the most of each moment. There has never been a more fun and loving Papa and his grandchildren adored his outrageous antics and complete devotion. David’s ultimate life’s desire was to glorify God. He was never afraid of cancer because his attitude was, “No matter which way this goes, I win”. David lived that revelation with such deep faith that he made his family’s burden light. He fought to the end, and in the last four days of his life, he suddenly knew the Lord was calling him home. The chasm left in our hearts is so huge, but we rejoice in his freedom. David is survived by his wife, Nancy; their children, Tessa (Ross) Harrington, Tyler (Stephanie) Miller, Tanner (Sarah Kasper) Miller, and his daughter, Renee (Richard) Voss; 11 grandchildren; his mother, Irene Miller; five brothers; 12 sisters; and many nieces and nephews. He is preceded in death by father, Ralph Miller; his brother, Dennis Miller; and his nephew, Reed Ziniel. David’s family requests that memorials be made to KNDR Radio or Compassion International.